Although Diwali is still a couple of weeks away, it’s already lighting up our minds, with preparations shaping up in full vigour for the big occasion. A personal loan can help you perfectly to prepare for the inevitable spending spree, without putting too much pressure on your regular financial requirements. 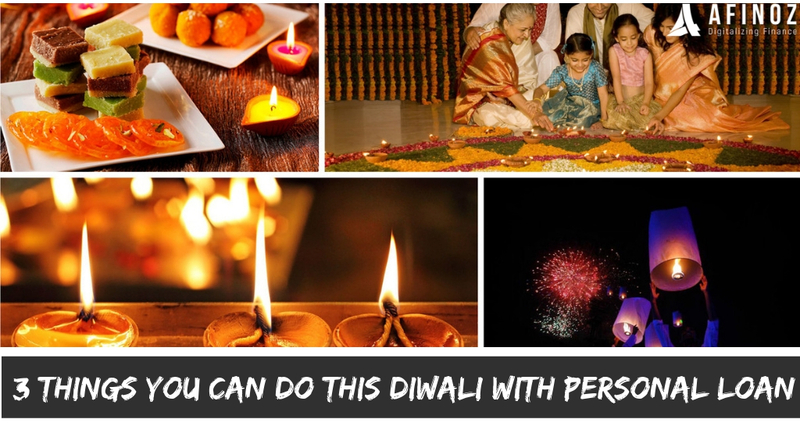 With you feeling so rejuvenated during the ‘festival of lights’, why should your home be left behind? Come Diwali, you may remodel your home with things like painting, reconstructing a room, repairing broken fixtures and so on. The high cost of renovation should not dampen your spirits as you can address these short-term needs perfectly with a personal loan. A best personal loan is invariably the quickest to get and is available with minimum fuss as it requires very little paperwork, if compared to other types of loans. Your beloved house needs regular maintenance and a festival like ‘Diwali’ is just the perfect time to give your home the look it is craving for! Our ancestors showed the importance of savings and investment by purchasing gold during the Dhanteras. It is believed to usher in wealth and buying gold is regarded as an investment, not at all an expense. You can invest in gold coins/bars and even in gold ETFs. With gold prices shooting up almost every day, the price of gold you bought today may upsurge to a much bigger value in a foreseeable future. A personal loan is available at very low competitive rates and with utmost ease. Using a personal loan to invest in gold is a smart strategy as the ever-rising price of gold will surely cover the cost of the interest on your personal loan sooner than later. Bring prosperity this festive season as this is the best period for big- ticket purchases such as furniture, electronics and other white goods. With flexible repayment options attached to a personal loan, you can buy the products you need today and pay later through EMI,ECS etc. Afinoz.com can help you get the best available personal loan as per your need, with equitable comparison insights and the best in class support. Along with that you will get cashback voucher worth Rs 5000 and free movie ticket. is still a couple of weeks away, it’s already lighting up our minds, with preparations shaping up in full vigour for the big occasion. A personal loan can help you perfectly to prepare for the inevitable spending spree, without putting too much pressure on your regular financial requirements.